CARD 1: Hold both cards curving toward the right. 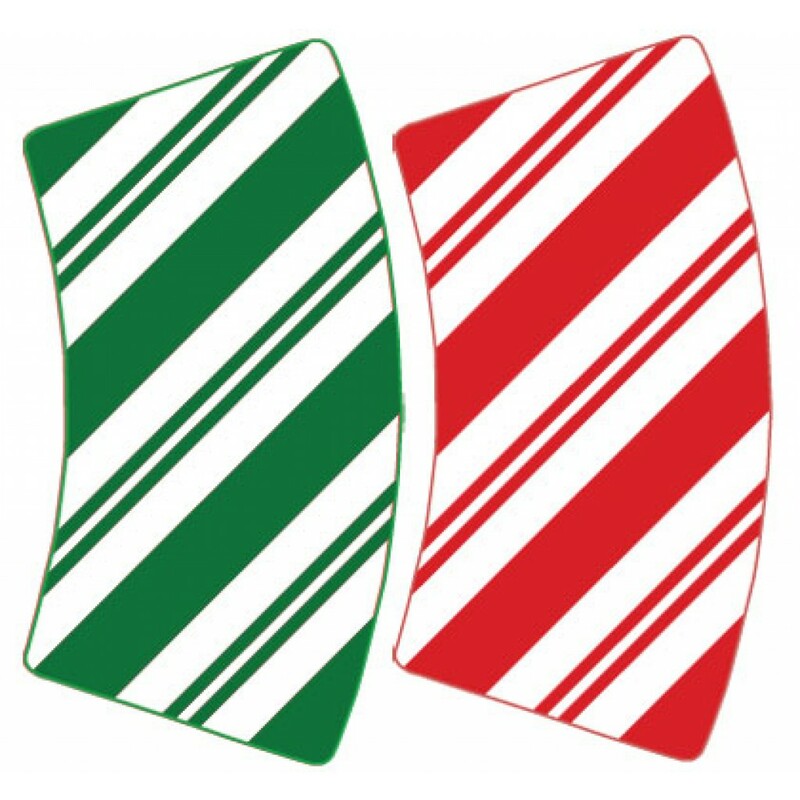 Which is bigger: red or the green? One looks bigger, but place them on top of each other and you’ll see they’re both the same size! It shows that sometimes we think we’re right, but we’re actually wrong. 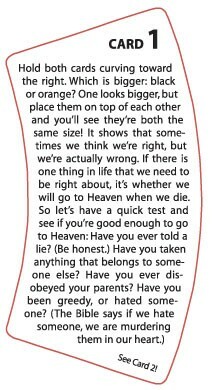 If there is one thing in life that we need to be right about, it’s whether we will go to Heaven when we die. So let’s have a quick test and see if you’re good enough to go to Heaven: Have you ever told a lie? (Be honest.) Have you taken anything that belongs to someone else? Have you ever disobeyed your parents? Have you been greedy, or hated someone? 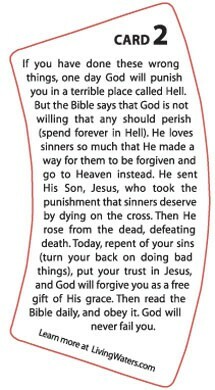 (The Bible says if we hate someone, we are murdering them in our heart.) See Card 2!